Sports, Faith and Leadership (SFL). 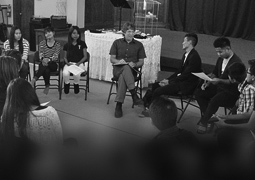 The conversation around Sports, Faith and Leadership (SFL) was expanded beyond the initial group in October 2014 when the SFL committee organizied a panel discussion between three Christian athletes. 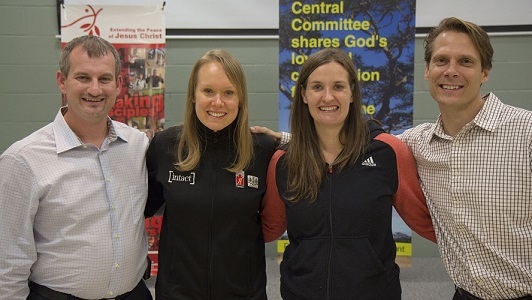 The panel included: Cindy Klassen (Olympic Speed Skater), Suzanne DeGroot (UW Women's Basketball and Volleyball Coach) and Brad Schlegel (former defenseman for the Washington Capitals). Pictures from October 4, 2014 Panel Discussion. 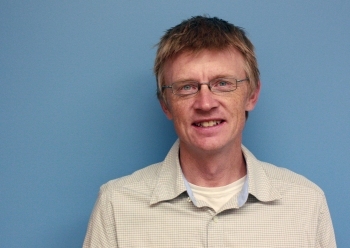 The conversation will be continuing on May 2 & 3, 2015 when Chris Huebner, Professor at Canadian Mennonite University and Cyclist, will be coming to MCEC and participating in a variety of events. Check out the event webpage for more details. Another initiative of the SFL committee is to compile a variety of resources about Sports, Faith and Leadership. Current resoures we have discovered can be found at the CommonWord, Mennonite Church Canada's Resource Centre. 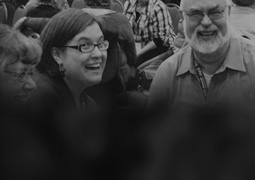 If you or your congregation has a story to share then vidoetape it or write it up and send it to MCEC or MC Canada. Check out what resources are available so far.